Update (12/08/14): The report has launched and the pricing experiment is closed. You can still get the report for $99 here! Many people worry that using the pay-what-you-want model will be problematic because people might not pay enough. We decided to take a risk, and despite asking only $1 minimum, the average purchase price has stabilized around $7 over the past 46 hours. We’ve now sold more than 800 pre-orders for a grand total of $5,840 and climbing! 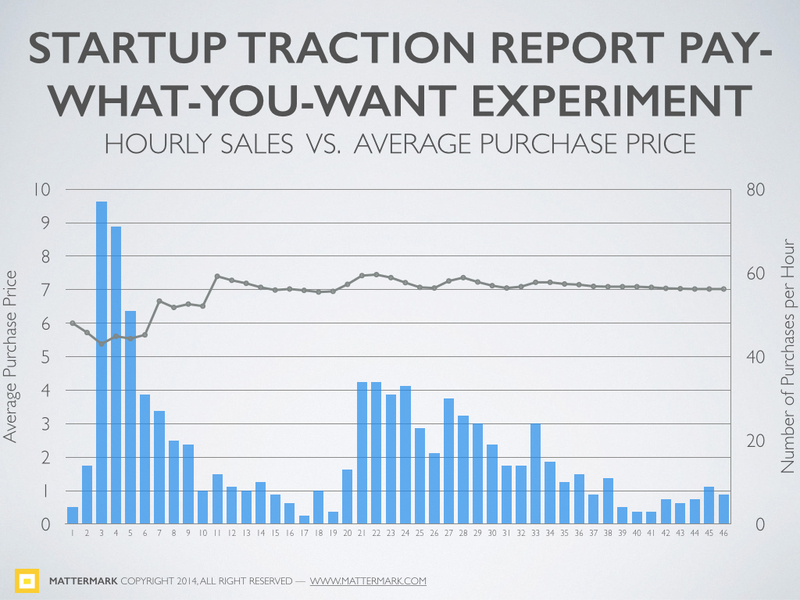 Check out this analysis of the data we downloaded on hour-by-hour purchasing of the report.